After producing two CDs released by Sony Classical, the Wanderer Trio began a new partnership with Harmonia Mundi in 1999. Since then, twenty recordings have been released: trios by Chausson, Ravel, Haydn, Shostakovich, Copland, Saint-Saëns, Mendelssohn, Smetana, the complete piano trios of Schubert and Brahms, Schubert’s Trout Quintet Schubert, Hummel’s Quintet, Beethoven Triple Concerto conducted by James Conlon, and pieces of Liszt and Messiaen. In 2005, a new CD dedicated to the Martinu’s Triple Concerti was issued by Capriccio. In 2012, the complete Beethoven piano trios has been released by Harmonia Mundi followed in 2013 by Tchaïkovsky piano trio op. 50 and Arensky piano trio op. 32, Fauré and Pierné piano trios in 2014, Brahms piano trio op. 8 (1854 version) and piano quartet op. 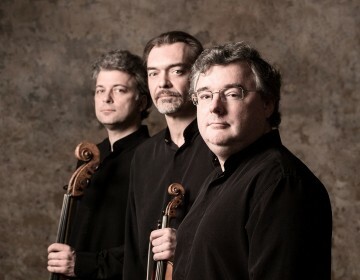 60 in 2016, Dvorák piano trios op. 90 and op. 65 in 2017 and in 2018 by a recording dedicated to five Haydn’s piano trios. The New York Times declared their interpretation of Mendelssohn’s piano trios the new reference and their Schubert Trout Quintet and Hummel Quintet recording has been included in Forbes’s Top 100 Quality Music Library. Recently, in 2016, their recording of Schubert Trio op. 100 has been chosen as best version amongst 14 other ones by the BBC3 broadcast ‘Building a Library – CD Review’ . Besides numerous radio and television recordings (Radio France, BBC, ARD, Mezzo), the French-German television company ARTE made a film on the Trio Wanderer, broadcast in June 2003. 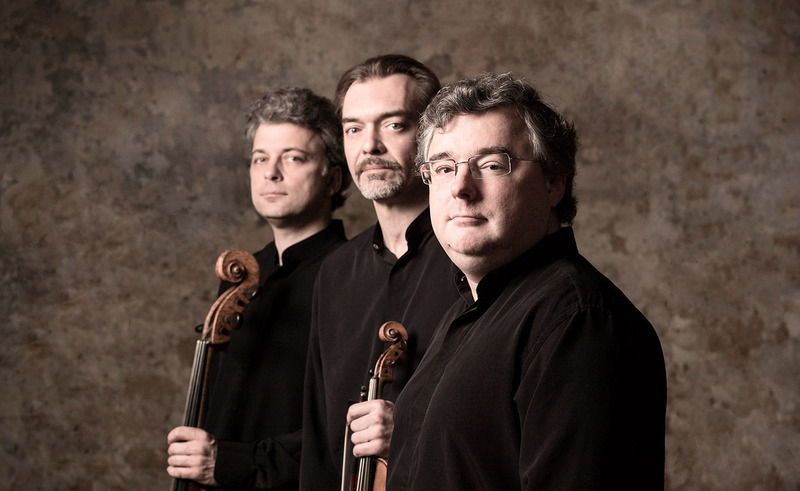 In 2014, Jean-Marc Phillips-Varjabédian and Raphaël Pidoux took the position of Professor of violin and cello at the Paris’ Conservatoire national supérieur de Musique et de Danse . Vincent Coq is Professor of Chamber Music at the Haute École de Musique de Lausanne since 2010. Raphaël Pidoux plays on a violoncello of Gioffredo CAPPA (Saluzzo 1680).